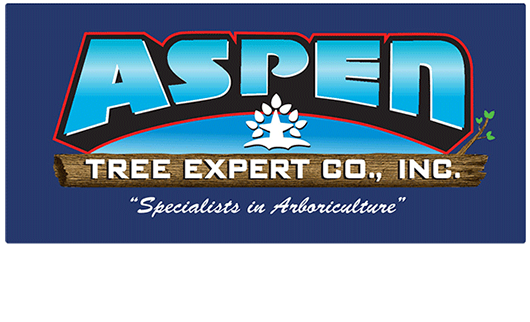 Aspen Tree Expert Co., Inc.
For over 40 years, Aspen Tree Expert Co. has provided knowledgeable, quality tree services to Jackson, NJ, and surrounding counties. Offering tree removal, tree pruning, insect and disease control - and much more! Aspen's licensed arborists are skilled in all aspects of tree health and safety. As specialists in arboriculture, we aim to provide the best tree services possible while maintaining the health of your trees - and your wallet. We offer on-site tree removal and tree pruning estimates, ensuring you get the service you need for a price you can afford. Call or contact us to schedule your estimate today! This may indicate structure damage, or insect infestation or disease. Tree pruning or removal may be necessary. pruning allows for removal of this hazard while maintaining a pleasing aesthetic. excellent, quick solution to landscaping headaches. Our professional arborists are trained on evaluating tree health and condition during our site visit when we provide your estimate. Since we are knowledgeable in all areas of tree safety and health, Aspen Tree Expert Co., Inc. can confidently advise you on the tree services you really need. We can easily service clients in Toms River, NJ; Colts Neck, NJ; Spring Lake, NJ and the surrounding area! Choosing the right arborist to undertake your tree service is crucial to tree health and home safety. With memberships in multiple industry associations, licenses and credentials, full insurance, and written estimates, Aspen Tree Expert Co., Inc. can guarantee you the best tree removal and tree pruning services in Jackson, NJ, and surrounding areas. Why Choose Aspen Tree Expert Co.? For over 40 years, Aspen Tree Expert Co., Inc. has provided quality, knowledgeable and safe tree removal and tree pruning services to residents of the Jackson, NJ, area. With four Licensed Tree Expert Care Safety Professionals and as licensed and skilled arborists, we are trained not just in tree maintenance techniques, but also in tree health and safety practices. Family owned and operated, Aspen Tree Expert Co. works to make sure you receive the highest quality professional tree services available. And, we offer tree services in Monmouth, Ocean counties and surrounding areas. For us, it's not just a job - it's a specialty. Let us be your tree experts. Discovered in 1765 by the famous Philadelphia botanist, John Bartram, this tree has an interesting history. While on an expedition with his son William near the mouth of the Alatamaha River in Georgia, he discovered the tree growing on the sandy banks of the river. He took several specimens home to his gardens and named them after his good friend and fellow botanist and scientist Benjamin Franklin. The tree was spotted by William Bartram in 1773 and by plant hunter John Lyon in 1803, but disappeared from the wild with no known cause. It is speculated that a root disease was introduced by cotton in the southern plantations and it killed off all of the wild stock. To this day, it is believed that every Franklinia in existence came from Bartrams private collection. The botanical name Taxodium means "like a Yew", and although their foliage is similar, that's all they have in common. The Bald Cypress is native only to North America and is found growing in pure stands from Delaware to Florida. The plants are quite hardy and are planted from USDA Zones 4-10 as far west as Texas and north into Canada. Introduced from Japan in 1874, it has since become a favorite patio or garden tree. Growing to 60 feet in the wilds of Japan, it rarely exceeds 20 to 30 feet in the United States. Stewartias are difficult to transplant and fair best if planted balled and burlapped when small. Once established, however, it is an excellent tree with few pests or diseases and rarely, if ever, needs pruning. They perform best in a moist, slightly acid soil with full sun or partial afternoon shade. Emerald Ash Borer Epidemic from MTTN on Vimeo. Copyright © 2019 Aspen Tree Expert Co., Inc., all rights reserved.